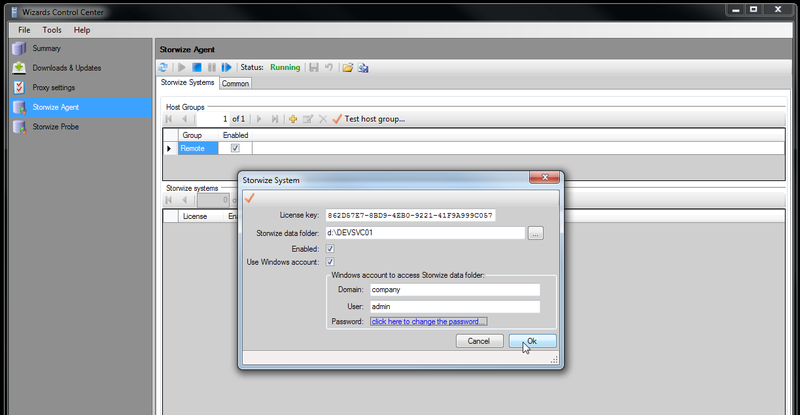 To configure the Storwize Agent click "Add New.." button in the "Storwize System" section. 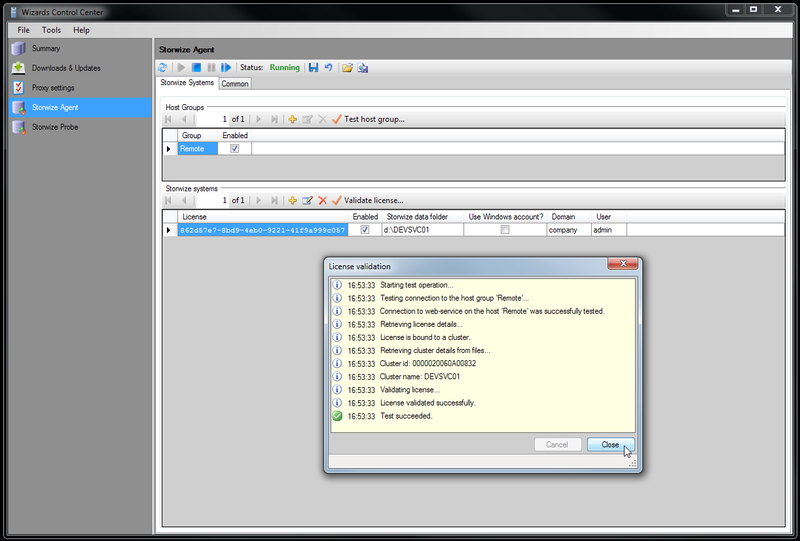 The "Storwize Data Folder" settings must be the same as the ones specified in the Probe configuration. Optionally, you may specify the Windows account to get access to the root directory. This account must have read, write and modify permissions to the directory. Finally test the entered license key by clicking "Validate license.." button. A response similar to the one shown in the dialogue below should appear. Please note that the license check is depending on the files collected by the Storwize Probe, so if it fails ensure that the Storwize Probe is running and try again. Repeat the steps above fro each Cluster defined(if you have more than 1 cluster you need a separate license key for each).